Did you like pinwheels as a kid? I loved them and would often fly them out the window of my families car to see the wheel spinning just as fast as it can, however, I don’t remember ever dropping one though! 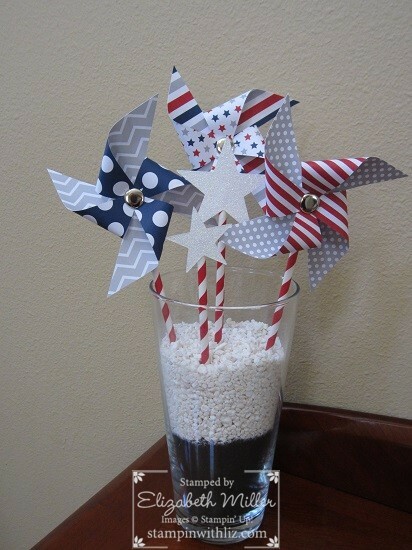 The June Paper Pumpkin kit is really fun and you can use the pinwheels for many things! Here is a photo of my breakfront that I decorate for the holidays!